How many sales emails have you ignored this week or even today? I know that I have deleted 6 today so far, and it’s not even 3pm! Digital Marketing is everywhere and in overwhelming amounts. So how do you reach a customer like me, unwilling to open the marketing email? MAKE ME LOOK! To see something new and colorful in the corner of my eye. Customers see balloons and perceive sale or sales event. This type of location marketing is very effective to increase last minute awareness, visibility and brand awareness. With the addition of something as simple as unique balloon décor you can increase visibility and foot traffic by up to 75%!! It gets people off the road and into your shop, and the rest is up to you! 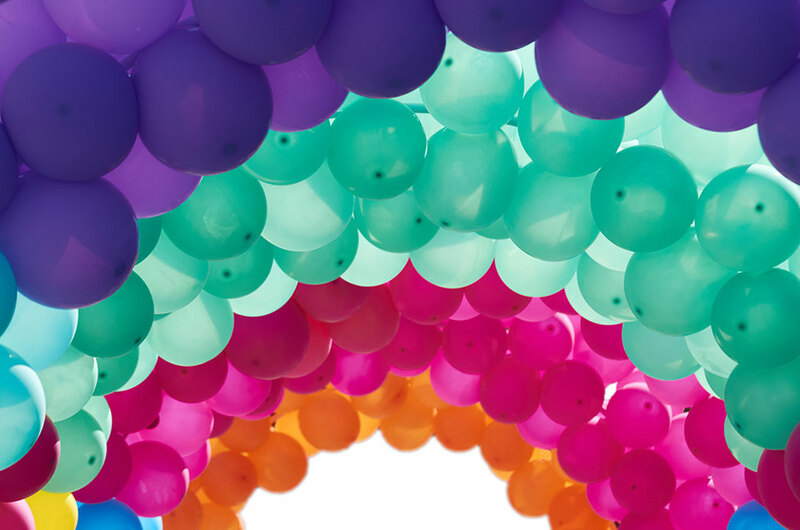 Balloon Arches, High Flyers, Cloud Busters, Balloon Bouquets – all of these have been proven to increase locational marketing success. The other additional benefit to this type of marketing is creating a festive and vibrant atmosphere. Customers go crazy for sales and holidays, why not pump up the energy in your location to maximize the fun selling environment to help increase those sales! Balloons are a perfect way to add that boost of energy your sales staff need and your customers want. In a world of hi-tech and cyber advertising filling the market, the need for physical location marketing has grown. Don’t get stuck in the deleted bin by relying only on those methods. Be sure to get all your bases covered with some gorgeous balloons! Just make sure you are ready for that foot traffic!